Peritoneal Dialysis (or PD) is a type of dialysis for patients with kidney failure where the patient's abdominal cavity- called the peritoneum, itself serves as an artificial kidney. This article is a part of a series that covers complications of dialysis (both hemodialysis and peritoneal dialysis). The following article describes the infectious complications that can be seen in patients on peritoneal dialysis. The dialysis catheter that is inserted into the belly of a patient who opts for peritoneal dialysis, called the PD catheter, is often the Achilles' heel of the PD patient. Infections of different hues may occur depending on the site. These could be at the PD catheter exit site (the point where catheter emerges from the skin, called an exit site infection), along its "tunnel" (the course it takes underneath the skin and in the abdominal muscle, called a tunnel infection), and finally in the abdominal cavity, which is called the "peritoneum" (with the infection there is referred to as peritonitis). Here is a picture to help you understand this. How Common Are Infections in Peritoneal Dialysis Patients? In general, how you do PD (manually or using a cycler) should not make a difference to the risk of developing peritonitis. As per data from the UK Renal Association, the average patient can expect a risk of about one episode of peritonitis every 18 months (0.67 episodes per patient-year). This is just a rule of thumb and the risk and prevalence of infection vary widely. A superficial infection like an exit site infection might show redness or discharge around the point where the catheter emerges from the skin. This site might be painful and fever and tenderness could be present. 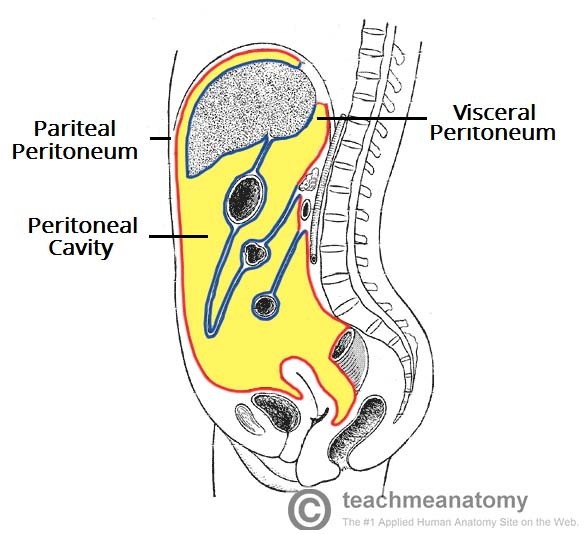 If the infection extends into the abdominal cavity (peritoneum) or is the only site of the infection, (called peritonitis), diffuse abdominal pain with a cloudy effluent are common features. Usually, the patient will notice a drop in their ultrafiltration volumes. Fever could again be a presenting feature. If the above features are present and raise questions about possible peritonitis, talk to your nephrologist immediately. At the very minimum, a physical exam will confirm the presence of infection at the catheter site or along the catheter tunnel. In this case, cultures can be taken from around the catheter site in order to confirm the infection and identify the culprit bug that caused the infection (this is commonly a bacteria, but other organisms like fungus are possible as well). If the infection is inside the peritoneum though, then a sample of the effluent is necessary which will then be sent for certain tests (called cell count, Gram stain, and cultures). The results of the tests will usually show bacterial or fungal growth which will help guide the treatment of the peritonitis. PD-related peritonitis is treated by antibiotics. The antibiotics can be given directly inside the peritoneum mixed with the regular dialysis bags (the preferred route in most cases), or less commonly intravenously. Treatment might be necessary for weeks at an end. Timely and proper treatment is necessary in order to prevent the peritoneum from getting permanently damaged by the infection (which otherwise could spell the end of peritoneal dialysis for the patient and might necessitate a switch to hemodialysis). Superficial infections might be treatable just by oral antibiotics. The decision regarding this is best left to your nephrologist. Do You Continue to Make Urine After Starting Dialysis?